Sondre Guttormsen just vaulted 18'0" at the Reno Pole Vault Summit held on January 11th to become the 2nd high schooler to vault over 18'0". He is attending Davis HS (SJS) after his family returned to the Sacramento area. He has also committed to UCLA once out of HS. According to the newspaper article at this LINK, his eligibility is under question but I have also read that he may be eligible as well. I will do a little more digging to find out if he will actually be able to compete or not. If someone out there is aware of the decision, please chime in below. Update #1: According to his dad on Twitter, he is eligible to compete for Davis HS. Update #2: It's been confirmed that he will be able to participate fully for Davis HS in the spring. 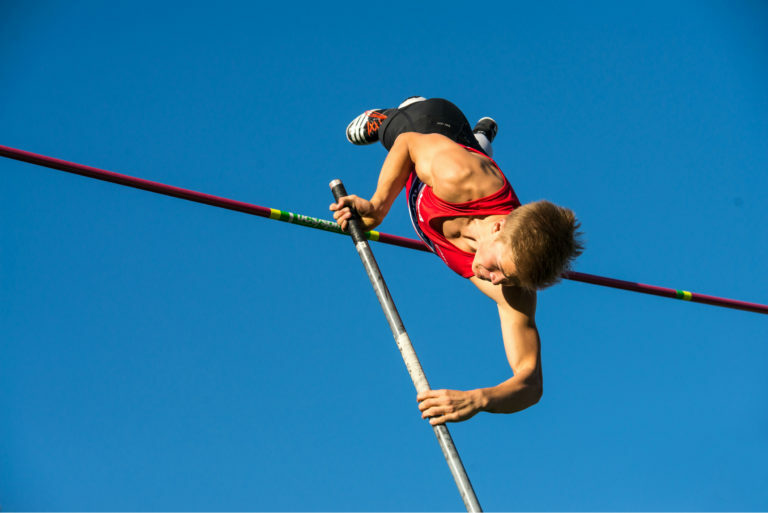 You will need to surpass 18 feet this year if you want to win the Pole Vault at the CA state meet. Only one other state surpasses that standard. Any guesses? Update #3: Here is an update from California MileSplit in regards to his eligibility found at this LINK. The rules are pretty strict and really archaic. My son went to boarding school in another state for a year and came back to the same school and was deemed to be ineligible. No ability to appeal or explain or argue your kids case. I don't know the specific details of this kids plight but doubtful unless he was an official exchange student for that same school which sounds like he was not. Have to essentially always remain at the same school or you have to sit out that sport for a year. In the age of transfers being allowed for purely athletic reasons, why was this even a question? He should be eligible without question.